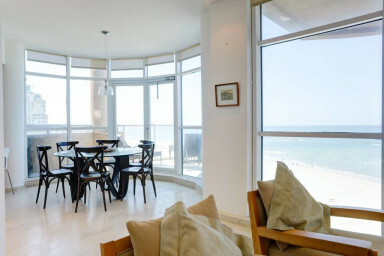 3)from the apartment sumptuous view of entire Tel-Aviv shore from Jaffa up to north and the port of Tel-Aviv. 5)there is an elevator and has private parking. 6) from the apartment access to 2 balconies.